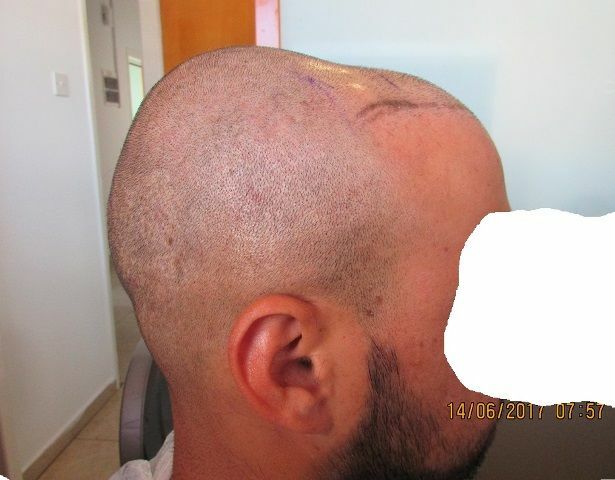 This is a 29 years old patient who had a previous FUE in Israel for about 2000 grafts. 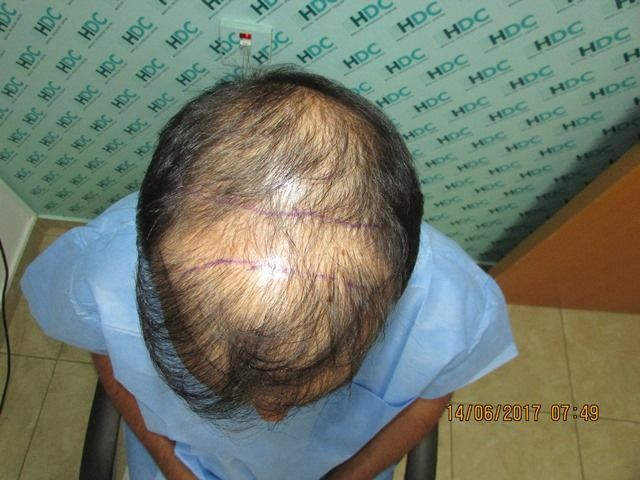 He was obviously not happy with the result and visited HDC Consultation Centre in Tel Aviv seeking for a solution. 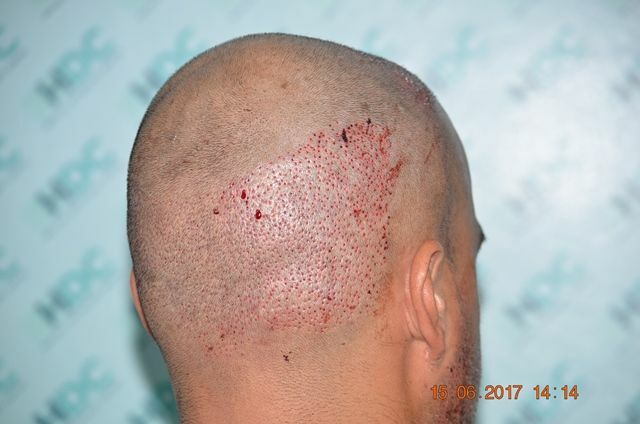 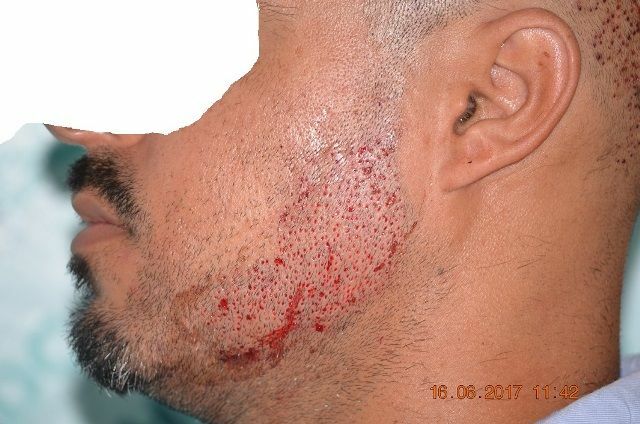 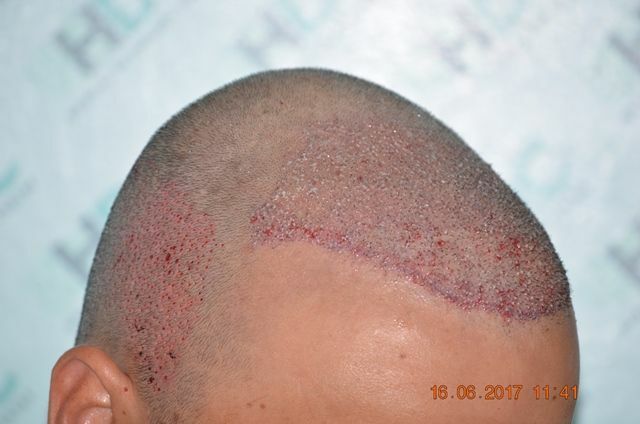 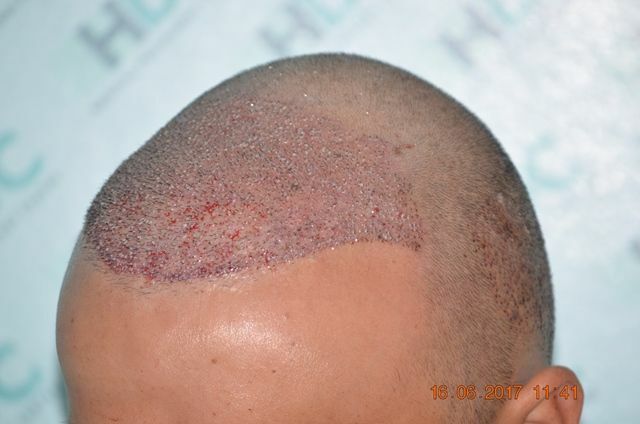 Hi aim was to make the hairline more natural and to increase the density in the existing transplanted hair and continue behind the previous transplant in order to have sufficient coverage up to the line in the picture below. 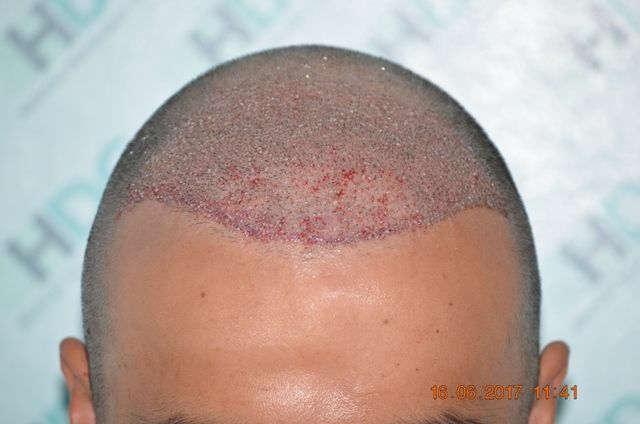 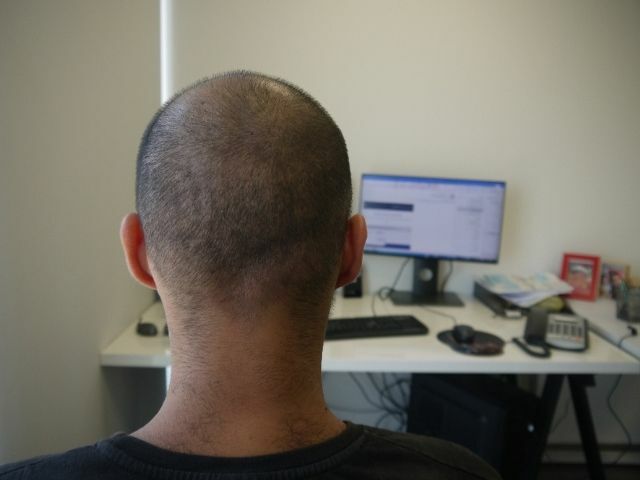 His donor is below average and with some white dots at the back from previous FUE. 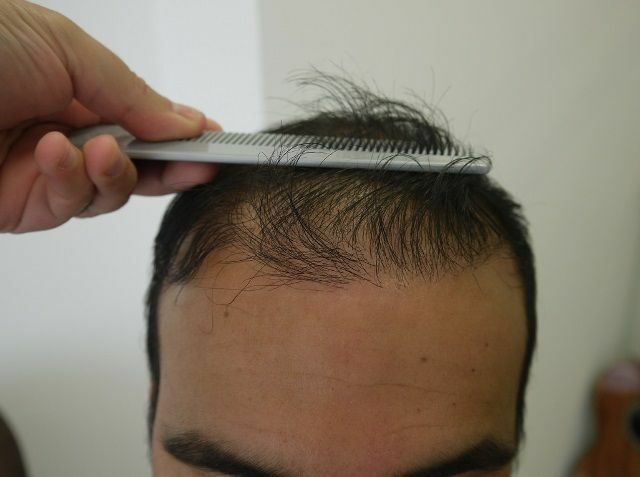 In order to maximize the number of grafts we used also his beard hair and we managed to harvest a total of 2528 grafts as analyzed below. 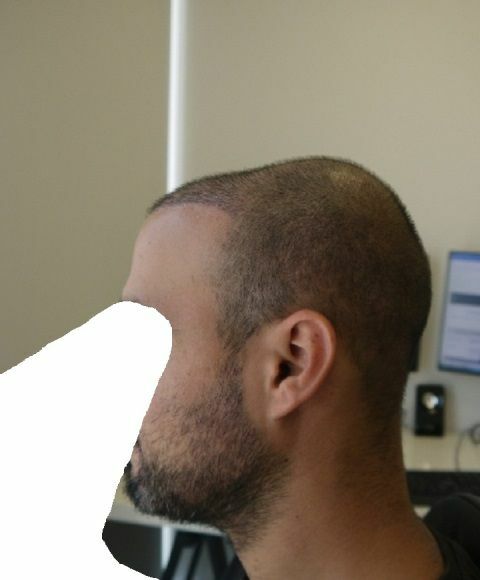 It is noticeable that the shape of head of this patient is with a hollow on top since the cranium bones did not come together when he was a new born so it was vital that this area was covered in order to hide the uneven shape. 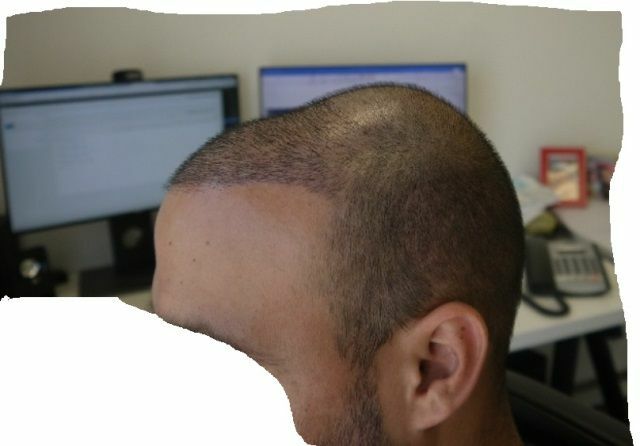 Looks really good so far Giuseppe!